Taiwanese e-commerce platform PChome Store's fall from grace illustrates a cautionary tale for anyone wanting to found an online business: ignore mobile devices and massive marketing campaigns at your peril. The platform, which is owned by Taiwanese internet company PChome Online, is a household name in Taiwan After going public in 2011, PChome Store was a market leader until it was upended by Singapore’s Shopee, an app-based e-commerce platform of a type rarely seen in Taiwan. The impact caused PChome Store to report an annual net loss of NT$10.6 million last year its first-ever loss since going public. In the first quarter of this year, there was another resounding loss of NT$927 million. 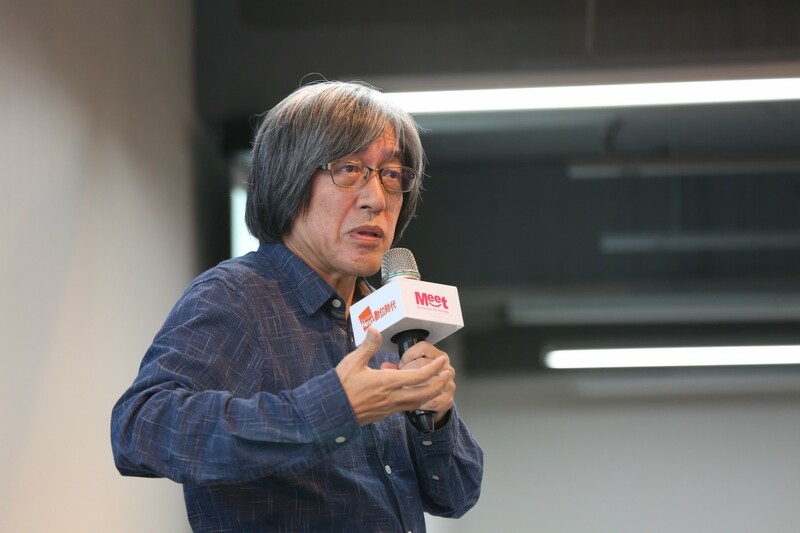 “We were too slow turning from web to mobile, and weren’t powerful enough,” said Jan Hung-tze, PChome Online’s chairman at a recent start-up social event held by Meet. The company was once a star player in the Taiwanese market. Founded in 1996, it began as a portal website. It later spun off its e-commerce platform, PChome Store in 2010 as a separate company. PChome Store went on to become the first port of call for Taiwanese online shoppers searching the internet for product information, even outdoing Google which came in second, according to a survey conducted last year by the Market Intelligence & Consulting Institute, a non-governmental organization in Taiwan. The survey also found that when Taiwanese online shoppers wanted to buy a given product, most would click on PChome Store first, before trying Google and Yahoo!. The company claims its e-commerce site offers the widest range of goods in Taiwan with more than 240 million purchase options. In addition to a business-to-consumer platform, PChome Online offers customer-to-customer transactions, where anyone using its platform can sell their individual belongings to another netizen, similar to eBay in the U.S.
Storm clouds appeared on the horizon when Singapore’s Shopee, originally an e-commerce platform offering customer-to-customer transactions, entered the Taiwanese market in October 2015. Owned by Sea Group, a Singaporean internet company which has China’s Tencent as an investor, Shopee’s e-commerce transactions are conducted via a mobile app. In this way, Shopee successfully differentiated itself from other Taiwanese e-commerce businesses, including PChome Store, which mostly used web platforms and didn’t provide mobile-friendly interfaces. Consumers found using an app was useful: buyers could quickly text sellers any questions they might have and sellers could reply directly using the app’s messaging feature. And this could be done anywhere provided users were carrying mobile devices, such as smartphones. Shopee managed to attract hordes of new online sellers through social media. These kinds of people habitually did not use web platforms like PChome Store. Shopee also entered the Taiwanese market with a strategy of offering free delivery, which Taiwanese companies hadn’t thought of offering before. It spent overall NT$6 billion on marketing in Taiwan from 2016 to early 2018. By July 2016, Shopee was claiming to have over 3 million app downloads and 10 million transactions every month in Taiwan. Then, in February 2018, the company claimed its app had been downloaded 12 million times, making it the most downloaded e-commerce app in the nation. During the same month, 15 million items in Taiwan were sold through Shopee. In 2017, Shopee started to charge some delivery fees, then in March 2018 it announced a new business-to-consumer 24-hour delivery shopping service in Taiwan. To catch up with this foreign competition, PChome Store began to provide free deliveries and cut product prices while increasing its operation costs. Meanwhile its losses mounted. Jan said that creating a successful e-commerce platform is like a “battle,” with the victor the company able to throw the most resources into marketing, free delivery and cheap deals. Amazon, an U.S. e-commerce giant, was an example, Jan said. The company started its business selling books online discounted at 20% to 40% It spent money offering these discounts to encourage consumers to change their behavior and make online purchases rather than visit bookstores. “The purpose of massive investments is to change consumers’ behavior. After the user base has gained enough scale, the platform … probably wins the market,” Jan said. However, Taiwanese internet businesses had never participated in such a “battle,” nor spent large chunks of capital in investing in marketing, as Shopee did, Jan said. “So when this came, we didn’t know how to respond,” Jan said. Shopee is not yet profitable. It pours investment into its business aiming for rising sales as its costs are mounting. However, sales figures and growth are the language its executives use to talk its investors to make them believe it will make money in the future, Jan said. Sea Group, Shopee’s parent company, which went public in 2017, is positioning itself as a leading internet company in Southeast Asia. “It has reach in the Southeast Asian region and Taiwan,” said Jan.
E-commerce businesses tend to be more profitable investments in internet-savvy Taiwan compared with Southeastern Asian nations, with total numbers of e-commerce sales in the nation 20% more than total retail sales. “Shopee can tell a very valuable story to its investors. When it works, it isn’t expensive to spend NT$6 billion in Taiwan (on marketing),” said Jan.
Jan took PChome Store private this month. He says his future strategy will be attracting other investors to join as shareholders and reforming the company's capital structure. The company has started funding raising and has already amassed NT$ 2 billion. He explained PChome Store wants to take advantage of its various international branches to distribute international goods that are not easily obtained domestically in the region in order to differentiate itself from other e-commerce platforms in the Southeast Asian market. In coming months, Jan revealed, PChome Store will launch 10 million Japanese-branded goods and 40 million U.S. products. Meanwhile 50 million Taiwanese products will be sold through PChome Thailand, a consumer-to-consumer e-commerce platform launched by PChome Online in September 2015. PChome’s international branches also include PChome US, launched in 2012. In addition, the company owns another platform similar to Ebay that is used in Taiwan and Japan called Ruten, a joint venture founded in 2006 by PChome Online and eBay. Lazada, which mostly sells cheap goods from China, is now the biggest e-commerce platform in Southeast Asia. Its major investor is Alibaba, the Chinese internet giant. Its CEO is Lucy Peng, who was on Alibaba’s founding team. “I don’t have more goods than Lazada, however, I have unique products. Japanese products won’t show up on Chinese (e-commerce) channels,” Jan said, adding that eBay will also not sell American products to Lazada either so there was a chance for him to sell American products too. Jan hopes that PChome Store will become an unique platform selling over 100 million international products which cannot be bought from any other Southeast Asian online sites, He could then impress investors, which will help PChome Store apply for an IPO in the U.S. or Hong Kong. “I will let PChome Store go back to a startup position, and reconsider our capital structure….I need two years to prove that I can make it. This is my great Southeast Asian picture,” said Jan.